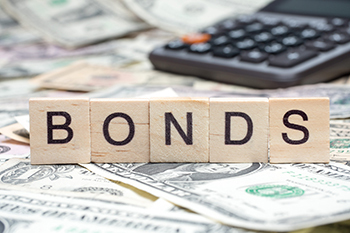 Why bond yield is rising? The 10-year bond yield closed at 7.47 per cent on Thursday, rising steadily from its monetary policy day level of 7.13 per cent. It has risen 37 basis points in five days. The 10-year bond yield closed at 7.47% on Thursday, rising steadily from its monetary policy day level of 7.13%. It has risen 37 basis points in five days. This week the rapid rise in yields has virtually wiped off the entire gain that investors enjoyed after the announcement of first-half borrowing. What is making bond yields rise? 1. When a country’s macro-economic situation deteriorates, bond prices fall and bond yields rise. The rise in crude prices has been a cause for concern as the country’s 70% of the import is oil. If oil prices rise, the fiscal deficit would widen and the government will have to bridge the gap through increased market borrowing. And there are indications that oil prices may spike further by prospects of geopolitical uncertainty in the Middle East following US President Donald Trump’s promise to respond “forcefully” to the suspected chemical attack in Syria. And Russia is in talks with other major oil producing nations to keep oil prices at $80 a barrel for a long period. And with general elections due in 2019, proposed higher MSP (minimum support price) of farm products, and house rent allowance the fiscal deficit could increased more. 2. Federal Open Market Committee (FOMC) meeting minutes, at which central bankers raised their target rate a quarter-point for overnight bank lending. So, the global yields have been strengthening which also added to the bearish sentiment. 1. Gilt-Equity Yield Ratio (GEYR) will increase, indicating equities are overvalued. 2. While evaluating a stock, the discounted cash flow (DCF) method to be used and in that method 10-year bond yield to use to arrive a present date value. As bond yields rise, these discounted cash flows will rise and will make stock valuation look more expensive. 3. In the latest RBI policy review outlined for the new fiscal a higher growth rate of 7.4% and lowered inflationary forecast at 4.7-5.1%. So, the oil price rise is a threat to the Reserve Bank of India’s inflation forecast and therefore to interest rates. 4. When bond yield rises, the opportunity cost of investing in other assets, including equities, rises. This makes stock investments less attractive. The benchmark 10-year government bond yield, a proxy to price all credit in the market and our country being the world’s third-biggest oil importer, a relentless surge in crude prices could pose challenges for policymakers. So, rising bond yields are a negative to the stock market, as it may signal tighter monetary policy and lower growth expectations for companies. From strategic point of view, equity trader can use "NiftyIT and BankNifty pair" but under the Derivative expert supervision for entry, exit and their hedging. Mutual fund investor can invest in debt fund that combine "accrual and low-duration strategies" and avoid dynamic funds if investor investment horizon is less than three years. The dynamic income funds managed their duration calls actively, most of the schemes were unable to contain the losses in rising bond yield scenarios.